Growing up in the seaside village of Kommetjie, extensive kelp deposits washing up on the beaches are commonplace, most residents being used to the ensuing smell of rotting seaweed that, without exception, still manages to alarm visitors with their unaccustomed noses. As I have always been astounded by the vast difference that becomes apparent between the Kommetjie and Fish Hoek beaches after one of these storm-induced deposits has been vomited up by the ocean, I decided to check out the extent to which these two beaches vary in their ecosystem integrity. Kelp species, such as Laminaria pallida and Ecklonia maxima, found in the extensive beds fringing the coastline of South Africa’s Cape Peninsula provide a rich source of nutrients to the intertidal faunal communities when washed ashore during heavy swell (Stenton-Dozey & Griffiths 1983). Dislodged kelp is cast ashore on every tide resulting in an almost continuous food supply with maximal deposition generally occurring during winter storms when deposits cover the beach reaching heights of a metre and a half in some locations (Fraser & McMahon 1994). 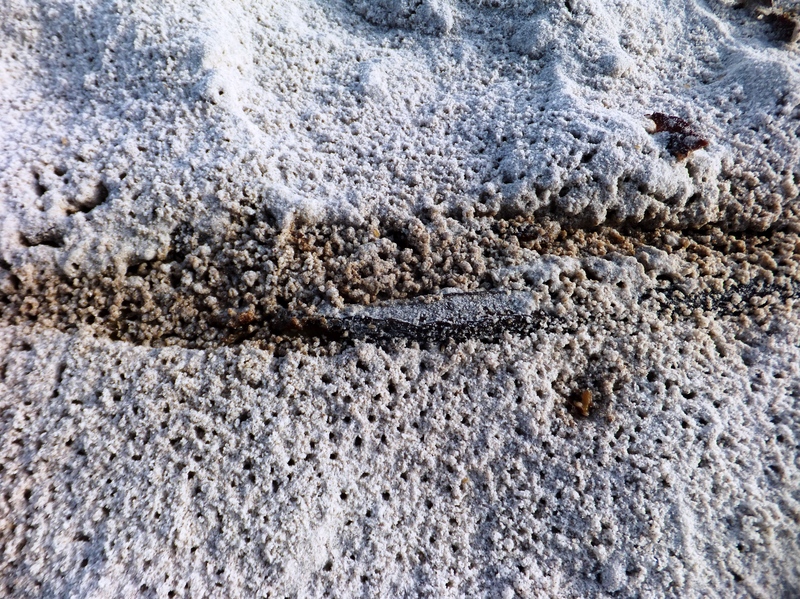 While these beach-cast accumulations are indiscriminate in location, they tend to be more heavily relied upon as a nutrient source in sandy beach environments than rocky shore habitats. Sandy beaches are dynamic coastal zones and while these areas appear barren and desolate at first glance, they are in fact home to an extensive macro-benthic faunal community (McLachlan 1983). In these ecosystems where primary production tends to be limited to offshore phytoplankton blooms, beach-cast kelp provides the essential nourishment required in order to sufficiently sustain these communities, which in turn supports a bird community; including species such as Cape wagtail (Motacilla capensis), hadeda ibis (Bostrychia hagedash) and African sacred ibis (Threskiornis aethiopicus) and various other intertidal predators. Without the frequent input of drift kelp or through the constant removal of these shore deposits, the abundance and structure of these upper shore communities would be vastly different (Griffiths & Stenton-Dozey 1981). This is evident from several studies indicating that food availability has a larger influence on supra-littoral macro-faunal communities than the physical characteristics of the beach with the kelp providing the additional benefit as a refuge from predators (Dugan et al. 2003). 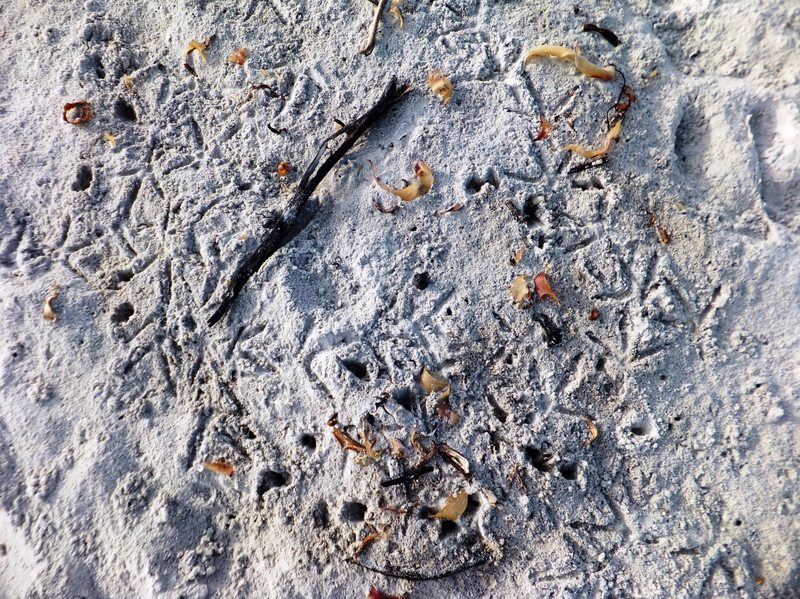 Among the most prominent consumers of beach-cast kelp along South Africa’s sandy shores are the beach hopper species, Talorchestia capensis and Talorchestia quadrispinosa. These amphipods are air-breathing scavengers that occur in vast numbers concealed beneath decomposing wrack littered along the drift-line (Beckley et al. 2010). These organisms act to efficiently convert the extensive beach-dumped macro-algal assortment into enriched fertilizer for what would usually be a relatively nutrient deprived environment (Fraser & McMahon 1994). Birds such as the hadeda and African sacred ibises use their large, curved beaks to probe the sand in the vicinity of decaying kelp for these beach hoppers. Another important kelp consumer is the larvae of the kelp fly (Fucellia capensis). The adult flies lay their eggs on the kelp stranded along the spring high tide mark, as this region shouldn’t be reached again for the next month, where they hatch into an ideal environment rich in nutrients sustaining them until pupation. Approximately 25 days later, the flies emerge in swarms preyed on by kelp gulls (Larus dominicanus) and swallows in the spring (Fraser & McMahon 1994). The larvae are of particular interest to waders such as the little egret (Egretta garzetta) and the sanderling (Calidris alba). Although the sea-slater (Ligia dilatata) is more common on the rocky shores of the Cape Peninsula, where it can be seen surging over the rocks in vast numbers, it is an important contributor to the decomposition of drift kelp in any of the coastal ecosystems (Beckley et al. 2010). 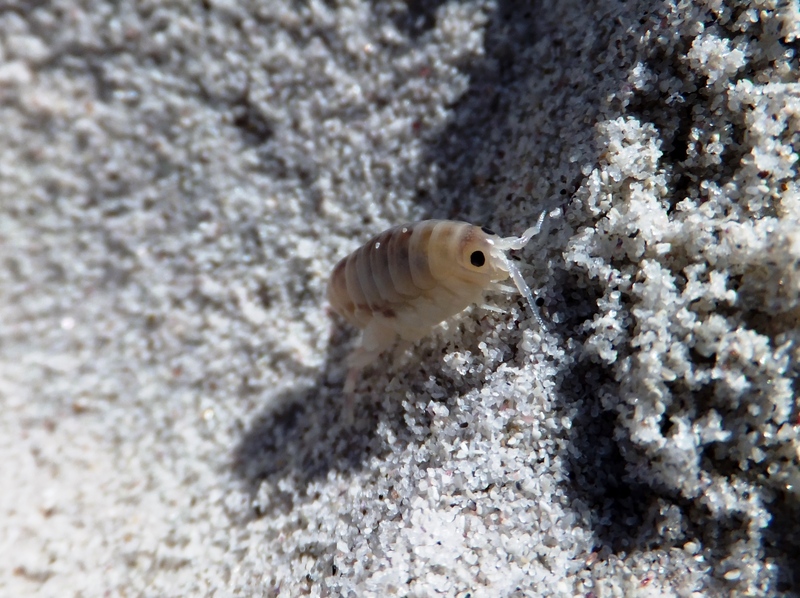 This isopod, along with the aforementioned amphipods, constitutes the prey species of the formidable shore spider (Desis formidabilis) that in turn is predated on by various bird species. The presence of all these organisms in such sizable amounts is as a result of dislodged kelp cast ashore and the subsequent micro-environment it generates. The surface biota play a major role in the initial fragmentation of the kelp thereby providing the interstitial fauna with smaller organic particles and the bacteria being of great importance in the final degradation stages of these fragments (Stenton-Dozey & Griffiths 1983). While beach-cast kelp is considered to not only enrich sandy beach ecosystems it also provides an effective form of dune rehabilitation on beaches such as Longbeach and if removed causes destabilisation leaving the dune system vulnerable to erosion (CCT 2005). Some beaches in the Cape, for instance Fish Hoek Beach, have been demarcated as kelp cleansing zones where drift kelp is regularly piled up and removed (Fig 1 & 2). The objective of this beach cleaning policy is to “establish a balance between an environment conducive to a high standard of recreation and the preservation of natural ecosystem processes and functions by identifying certain areas from which kelp will be removed” (CCT 2005). Sampling was carried out at low tide, within the intertidal zone and during the month of July (in the shocking instance that any one of you would like to read the complete version of the materials and methods as well as the results section, you can email your request to ssivewright@yahoo.com). The Longbeach study site was situated in the cold temperate region on the western seaboard of the Cape Peninsula while the Fish Hoek Beach study site was situated on the western shores of False Bay. Longbeach is approximately 1.6 km of relatively exposed sandy beach interspersed with rocky outcrops and fringed by extensive offshore kelp beds dominated by Laminaria pallida and Ecklonia maxima (Stenton-Dozey & Griffiths 1983). At low tide this beach has an approximate width of 44.5 m at its narrowest section (where sampling took place) while Fish Hoek Beach has a relatively constant width of approximately 64.5 m.
Fish Hoek Beach is one of the many small sandy bays making up the False Bay shoreline and is approximately 1.5 km in length. Rocky shores and even cliffs border these bays and the rest of the shores constituting the coastline of False Bay providing suitable substrates on which the kelp species can settle and propagate. The dominant kelp species encountered on these shores reflect those of the Atlantic seaboard due to the gradual easterly expansion in recent years of the species’ range as a result of changing climate and the subsequent decrease in sea surface temperatures in this region (Griffiths & Mead 2011; Reimers 2012). 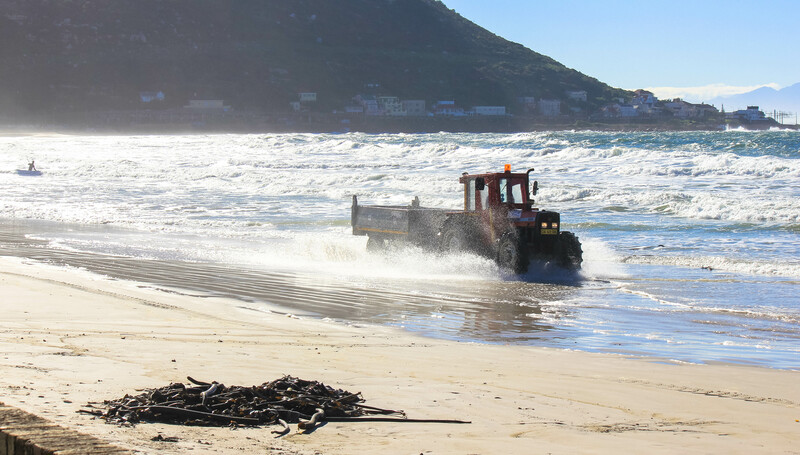 Due to its location within False Bay, Fish Hoek Beach is more protected from the stronger currents and bigger swell associated with Longbeach, it is however fully exposed to the intense south easterly winds of the summer months, which act to transport dislodged kelp ashore. As a result, this beach experiences higher levels of kelp deposition during the summer months while the kelp beds off Longbeach provide maximal deposition during the large swells and strong north-westerly winds associated with the winter months of June to August (Koop & Field 1980). 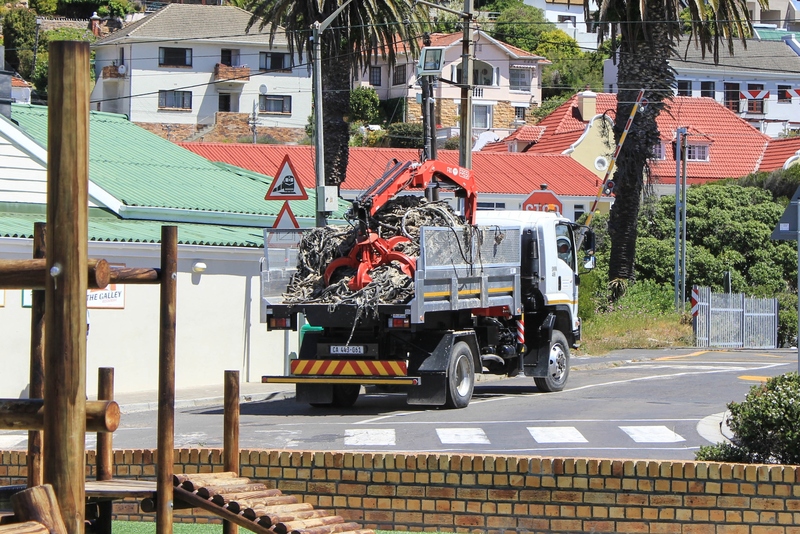 Fish Hoek Beach undergoes regular beach cleansing phases carried out by the City of Cape Town’s Department of Solid Waste Management while Longbeach is left un-cleared and in a relatively natural state. Rivers are present at both of the sample beaches, the Silvermine River exiting in the northern corner of Fish Hoek Beach and the Bokramspruit flowing out midway along Longbeach. By assessing the data that was collected and documented during this study, it was established that the initial hypothesis that the relatively natural state of Longbeach afforded higher species diversity value than the regularly cleared Fish Hoek Beach was correct. This coupled with the species richness values of 13 species recorded at Longbeach and only 2 species at Fish Hoek Beach, suggests that the presence and natural degradation of beach-cast kelp plays a major role in community structure and population abundance of sandy beach intertidal fauna. While expected results were obtained, more accurate conclusions could be drawn from a study that was able to take seasonal fluctuations in kelp deposits, as a result of various climatic occurrences, as well as species abundance across the intertidal zones into account. 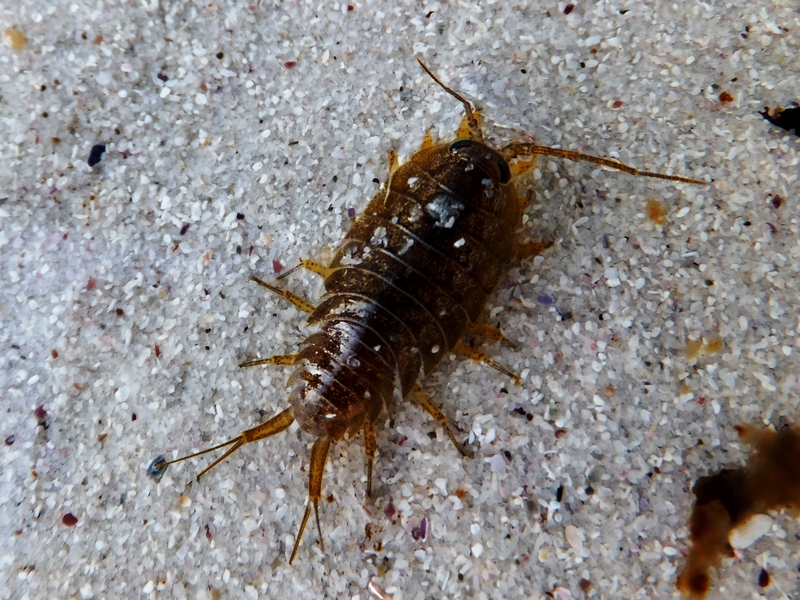 Arthropod and isopod species (Figures 5-9) were not encountered at Fish Hoek Beach and while large numbers were counted at Longbeach, beach hoppers are very mobile and as such many were lost during transport between the excavation site and the water’s edge where the sieving was carried out thus influencing the results. While the adult form of the kelp fly (Fucellia capensis) was recorded, due to insufficient equipment the larval forms as well as other meio-fauna commonly associated with beach-cast kelp could not be sufficiently identified. It was noted that even though kelp and Hartlaub’s gulls (Larus dominicanus & Chroicocephalus hartlaubii respectively) were recorded at Fish Hoek Beach they tended to be concentrated closer to the restaurant where they were being fed table scrapes with the occasional kelp gull being seen cracking black mussels (Choromytilus meridionalis) on the hard substrate of the car park. Neither species was seen attempting to feed in the intertidal zone. It was also observed that the beach sand at Fish Hoek was very compact with little to no aeration, when compared to Longbeach, as a suspected result of the lack of interstitial fauna. The construction of the promenade along the back of Fish Hoek Beach has caused a narrowing in the natural morphology of the intertidal region leading to a severely reduced high shore zone in which species such as the beach hoppers (Talorchestia capensis and Talorchestia quadrispinosa) would usually inhabit. While replicate samples were collected at each site to ensure reliability of the recorded results, a more accurate knowledge of the influence drift kelp has on a sandy beach system could be obtained by sampling being carried out throughout the year as various factors such as the lunar and daily tide cycles, the frequency and intensity of storm-induced casts and the general seasonal patterns experienced in the region would have an effect on the various parameters measured. Gaining this knowledge and a further understanding of the important contributions washed-up kelp has as a food source in this relatively nutrient deprived and dynamic ecosystem will assist in the future management thereof. Beckley, L.E. Branch, G.M. Branch, M.L. & Griffiths, C.L. (2010). Two Oceans – A Guide to the Marine Life of Southern Africa. Struik Nature: Cape Town. City of Cape Town’s Coastal Zone Management Strategy. (2005). Coastal Zone Management Review and State of the Coast – Summary Report. [ONLINE] Available at: http://www.capetown.gov.za/en/EnvironmentalResourceManagement/publications/Documents/StateOfCoastSummary_04-05.pdf [Accessed 22 July 2014]. Dugan, J.E. Hubbard, D.M. McCrary, M.D. & Pierson, M.O. (2003). The Response of Macro-fauna Communities and Shorebirds to Macrophyte Wrack Subsidies on Exposed Sandy Beaches of Southern California. Estuarine Coastal and Shelf Science 58: 25-40. Fraser, M. & McMahon, L. (1994). Between Two Shores – Flora and Fauna of the Cape of Good Hope. David Philip Publishers: Cape Town. Griffiths, C.L. & Mead, A. (2011). Human Activities as Drivers of Change on South African Rocky Shores. In: Observations on Environmental Change in South Africa. Eds: Zietsman, L. Sun Press, Stellenbosch: 242-246. Griffiths, C.L. & Stenton-Dozey, J.M. (1981). The Fauna and Rate of Degradation of Stranded Kelp. Estuarine Coastal and Shelf Science 12: 645-653. Koop, K. & Field, J.G. (1980). 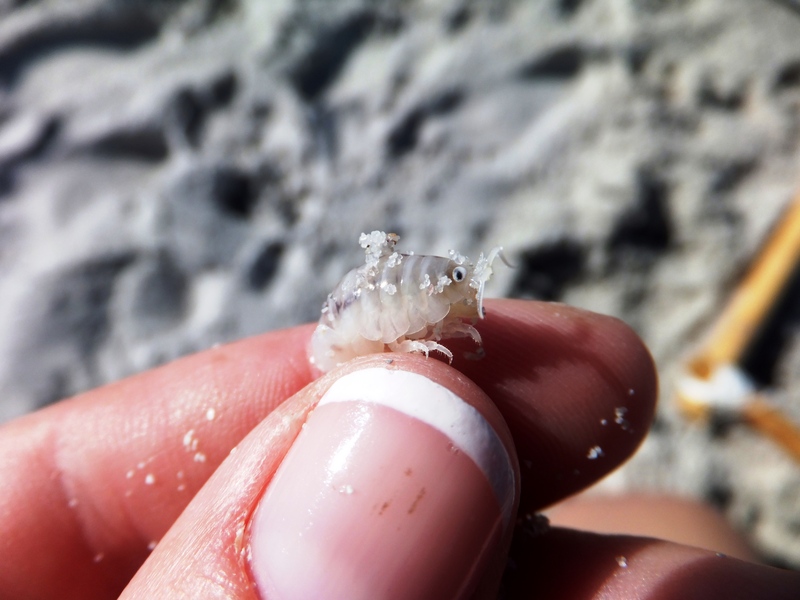 The Influence of Food Availability on the Population Dynamics of a Supra-littoral Isopod, Ligia dilatata (Brandt). Journal of Experimental Marine Biology and Ecology 48: 61-72. Leroy, A. & Leroy, J. (2003). 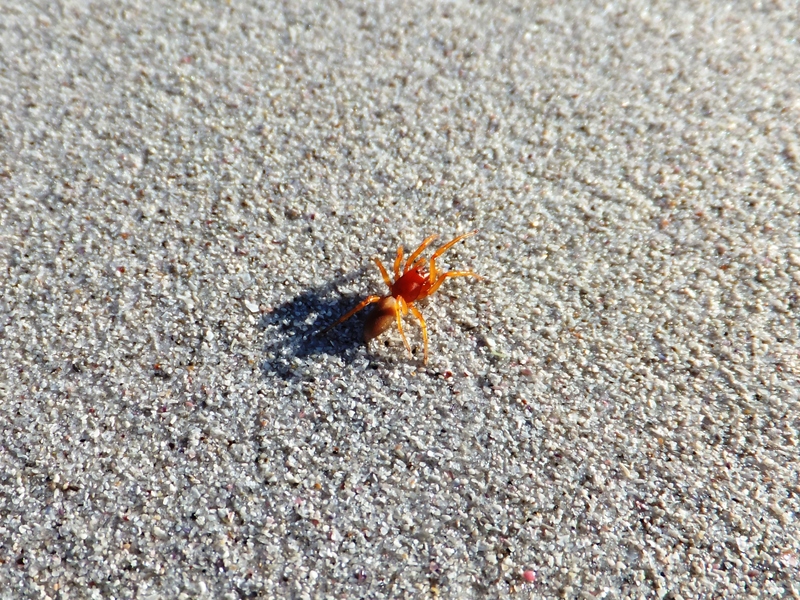 Spiders of Southern Africa. Struik Nature: Cape Town. McLachlan, A. (1983). 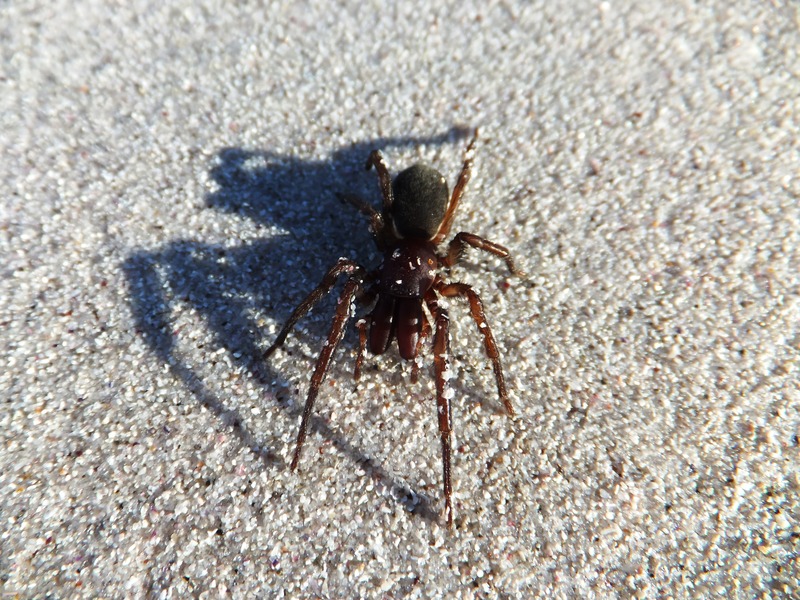 Sandy Beach Ecology – A review. W. Junk: The Hague. 321-380pp. Reimers, B. (2012). Historical Changes on Rocky Shores in the Western Cape, as Revealed by Repeat Photography. MSc Thesis, University of Cape Town, South Africa. Stenton-Dozey, J.M.E. & Giffiths, C.L. (1983). The Fauna Associated with Kelp Stranded on a Sandy Beach. Developments in Hydrobiology 19: 557-568.